Oddly enough there aren’t very many holiday specials or films for that matter that focus on Jesus Christ- the reason for the season! 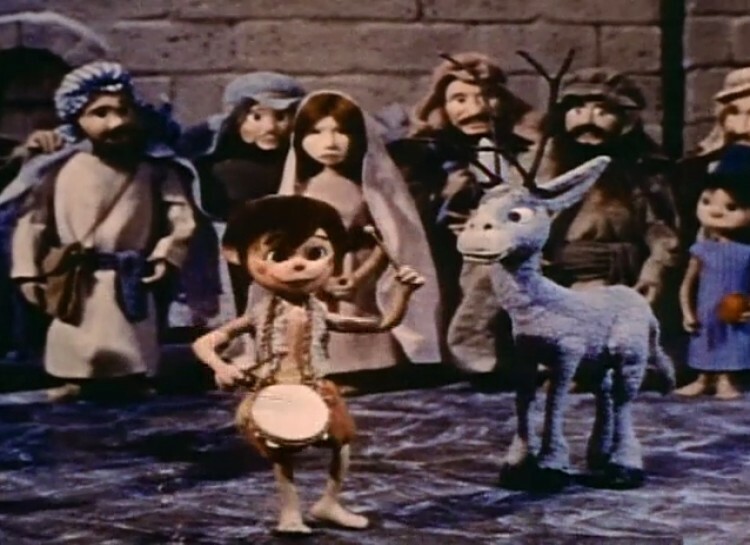 And that is truly one thing that stands out about the Rankin/Bass film The Little Drummer Boy. Before reviewing this film I must own The Little Drummer Boy is not a carol I particularly enjoy. It’s nice sung by a choir but I guess I prefer the Christmas songs that I can sing easily by myself and ‘rump a pum pum’ doesn’t work with only one! 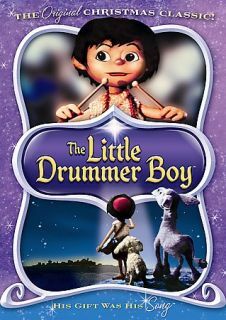 That said, the Little Drummer Boy is about a boy named Aaron who has a magic drum that charms his friends a donkey, sheep and camel. The animation is not very fluid in this movie but I oddly got used to it after a while. Life seems good for him but one night his family is killed and his home is burned to the ground by roughians. That’s right. They don’t mess around in this film! It’s pretty dark to begin with. 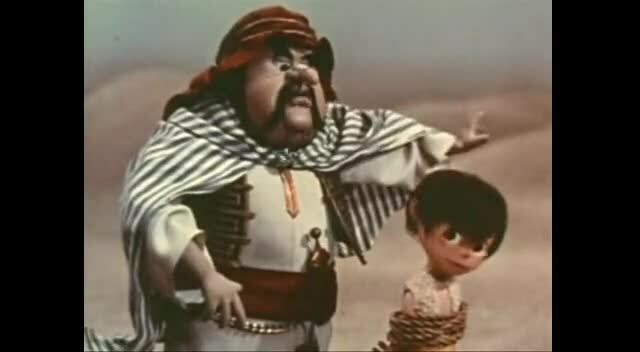 Then a man named Ben Haramad abducts Aaron and forces him to join his circus of nitwits. Aaron becomes very bitter towards the people watching him in the circus and to Ben. At one point Ben paints a smile over Ben’s face because he refuses to smile for the crowds. It looks kind of like the Joker. Aaron meets a group of Wise Men from East heading towards a new born King. 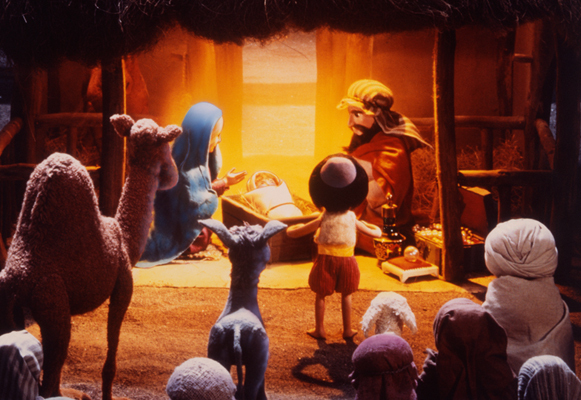 Aaron escapes but as they head to Bethlehem Aaron’s sheep is injured and near death. 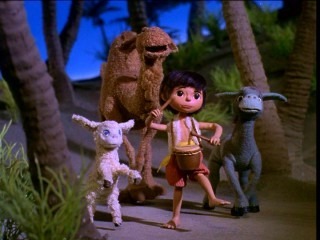 Aaron presents his sheep before the Christ-child and plays his drum as his gift. The sheep is healed and Aaron feels joy. It’s really quite a lovely moment. I was ready to give this one a pass at first- especially when it got so grim and sad but by the end it had won me over. 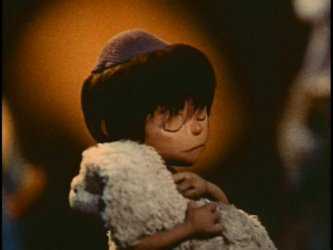 I liked seeing the character arc of Aaron and the whole sequence at the nativity was lovely. The music is also really special by Rankin/Bass regulars Maury Laws and Jules Bass. I particularly loved the Vienna Boys Choir throughout which fit for a story about a little boy. Of course we get our title song and I think it was all handled beautifully. So The Little Drummer is definitely a film worth a watch. It’s only 25 minutes (made in 1968) so what have you go to lose! 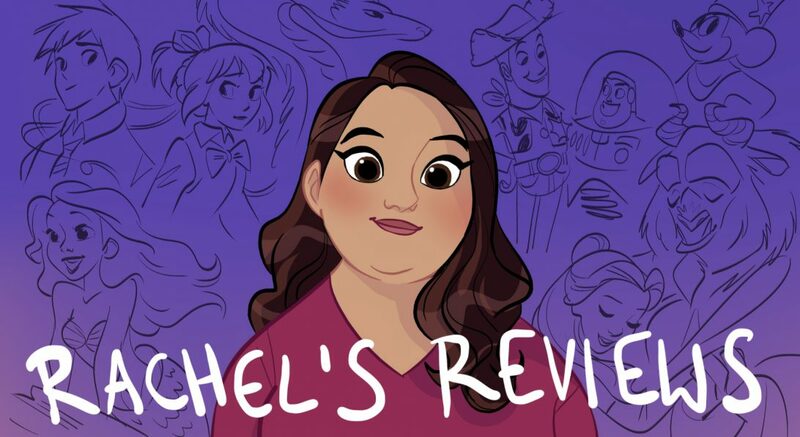 Haven’t seen this one either as well as probably most of the ones you’ll review for this month. What do you think of the famous Bing Crosby/David Bowie duet mixing this song with Peace on Earth? Like I said in the review it’s not my favorite carol but that’s a fine version.